You will find below the horoscope of Stefanie Martini with her interactive chart, an excerpt of her astrological portrait and her planetary dominants. If you know the time of birth of Stefanie Martini, we would appreciate it if you would send us your information with your source, at stars@astrotheme.com. To thank you for contributing to the enhancement of our astrological database, we shall be glad to send you the astrological portrait (34 pages) of this celebrity. Horoscopes having the same aspect Sun trine Mars (orb 0°11'): Kurt Cobain, Tom Hanks, Mark Wahlberg, Johann Sebastian Bach, Bill Cosby, Benicio Del Toro, Stevie Wonder, David Gilmour, Johann von Goethe, Eugène Ionesco, Andrea Bocelli, Elle MacPherson... Find all the celebrities having this aspect. Celebrities clicked on in real-time: 576,419,300 times. Stefanie Martini (born 6 October 1990) is an English actress, known for her leading role in ITV's 2017 production Prime Suspect 1973. She also starred in Doctor Thorne (2016), Emerald City (2017), and Crooked House (2017). Having starred in local youth plays with Winscombe Youth Theatre and undertaken the two week induction at the National Youth Theatre, with an interest in illustration post A Levels at Churchill Academy and Sixth Form, she began an arts foundation course. However, a teacher suggested that if she was interesting in acting, then she should try it. After failing to get into RADA on her first attempt, Martini joined a one-year programme at the Bristol Old Vic Theatre School, where the company wrote their own plays which were then performed in local schools. She was subsequently accepted into RADA the following year. During Martini's third year at RADA, she played the supporting role of a suspect in an episode of Endeavour. In 2016, she starred as Mary Thorne in Doctor Thorne, and Princess Langwidere in NBC's Emerald City. Martini portrayed the lead role of Jane Tennison in ITV's 2017 production Prime Suspect 1973. She also played Sophia de Haviland in the 2017 film Crooked House, an adaptation of the Agatha Christie novel of the same name. Here are some character traits from Stefanie Martini's birth chart. This description is far from being comprehensive but it can shed light on his/her personality, which is still interesting for professional astrologers or astrology lovers. 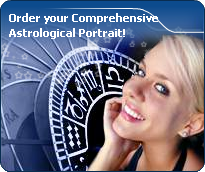 In a matter of minutes, you can get at your email address your astrological portrait (approximately 32 pages), a much more comprehensive report than this portrait of Stefanie Martini. Warning: when the birth time is unknown, which is the case for Stefanie Martini, a few paragraphs become irrelevant; distributions in hemispheres and quadrants are meaningless, so are dominant houses and houses' accentuations. Therefore, some chapters are removed from this part. Cheers for communication and mobility, Stefanie Martini! The predominance of Air signs in your chart favours and amplifies your taste for relations and for all kinds of short trips, whether real (travels) or symbolic (new ideas, mind speculations). You gain in flexibility and adaptability what you lose in self-assertion or in pragmatism. Like the majority of Earth signs, Stefanie Martini, you are efficient, concrete and not too emotional. What matters to you is what you see: you judge the tree by its fruits. Your ideas keep changing, words disappear, but actions and their consequences are visible and remain. Express your sensitivity, even if it means revealing your vulnerability. Emotions, energy and communication must not be neglected; concrete action is meaningless if it is not justified by your heart, your intellect or your enthusiasm. Your natal chart shows a lack of the Water element, with only 7.81% instead of the average 25%. Whether you are aware of it or not, affective values bring about problems, for you or your close friends. In general, a lack of Water does not necessarily mean that you are unable to love as much as others do. However, you may find it difficult to express the deepness of your heart and of your feelings. In the best cases, you come to terms with it, you adjust, you manage to show more affection or, why not, you pretend to be really affected! In the worst cases, you get into the terrible habit of repressing these essential values and you tend to forget that they are the basis of the richest and strongest bonds between human beings. Stefanie Martini, the Cardinal mode is dominant here and indicates a predisposition to action, and more exactly, to impulsion and to undertake: you are very keen to implement the plans you have in mind, to get things going and to create them. This is the most important aspect that inspires enthusiasm and adrenalin in you, without which you can grow weary rapidly. You are individualistic (maybe too much?) and assertive. You let others strengthen and improve the constructions which you built with fervour. In your natal chart, the three most important signs - according to criteria mentioned above - are in decreasing order of strength Libra, Capricorn and Taurus. In general, these signs are important because your Ascendant or your Sun is located there. But this is not always the case: there may be a cluster of planets, or a planet may be near an angle other than the Midheaven or Ascendant. It may also be because two or three planets are considered to be very active because they form numerous aspects from these signs. After this paragraph about dominant planets, of Stefanie Martini, here are the character traits that you must read more carefully than the previous texts since they are very specific: the texts about dominant planets only give background information about the personality and remain quite general: they emphasize or, on the contrary, mitigate different particularities or facets of a personality. A human being is a complex whole and only bodies of texts can attempt to successfully figure out all the finer points. Stefanie Martini, it is impossible to hide it: to love, to be loved and to please, all these activities are at the centre of your life. Because you loathe solitude, you are constantly looking for company, and if possible, for an amorous company. It does not mean that you are full of passion all the time: you are refined, delicate and charming and you skilfully make use of customs with moderation and balance, without losing sight of your personal interests. You are ready to adjust and to compromise in all circumstances. You want to love and to remain integrated in your society: love gives precedence to propriety, which is fundamental to you. You are particularly gifted for this game of refined courtesy and politeness where appearances are at least as important as contents; you are able to show what you feel like showing and you achieve your ends with elegance, gentleness and goodness. These are precisely your main assets. Stefanie Martini, your mental activity is exuberant. Ideas are buzzing at high speed and you have the ability to think of several different things and to simultaneously process them. You are less interested in actions on the concrete or physical plane, because once you “see” a solution, its implementation is not that important any more since the crucial thing is that your mind remains bubbling with excitement. You are cerebral and curious and your sexuality is filled with fantasies, where pleasant ideas are mixed up with amplifying and enriching desires. Therefore, you are not simple but if your partner follows you, the stake is really worth it. Verbal jousting, the pleasure to debate and to discuss are continuous, with you. The only danger is to irritate people who may not have your swiftness or your sense of humour. This text is only an excerpt from of Stefanie Martini's portrait. We hope that it will arouse your curiosity, and that it will prompt you to deepen your knowledge of astrology, as well as to visit and use the wide range of free applications at www.astrotheme.com. Your Life Path is influenced by the number 8, Stefanie, which indicates that your destiny hinges on financial successes, material undertakings, and power seizing. It is a path full of successes and failures, fortune and reversals of fortune. You must strive to control your thirst for material goods, and try to practice tolerance. Great achievements are possible if you choose a career in any sort of trade or business. This is how your qualities are likely to be best expressed: management abilities and above-average commercial sense. Traditionally, the number 8 is believed to favour material and financial matters such as asset management, investments, commercial negotiations, as well as social power. All these elements are most likely to be found at the centre of your life. Your thirst for power, added to some degree of bad luck, constitutes one of the major hurdles blocking your way. However, your determination, added to a deep spirit of conciliation, turns the number 8 into a very fulfilling one, that of extraordinary successes.